Us Brits love our pets, but when it comes to styling our home, why should a pet dictate the decisions we make? Well, we believe that you shouldn’t have to make sacrifices just because you’re a pet owner, and you can still enjoy the benefits of a stylish, yet practical carpet that meets all your (and your pets’) needs. Pets, in particular dogs, spend the majority of their time on the floor, so rather than lying on a cold, hard floor, a carpet is far more comfortable and cushioning for your beloved pet. A carpet also proves to be less slippy for them, so when they’re bouncing around and chasing after their ball, they aren’t falling clumsily, all over the place! So, let’s take a look at the qualities to bear in mind when choosing your carpet. 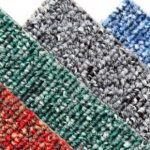 It is preferable that a loop pile carpet is not used due to high risk of snagging. A carpet with both these qualities will last far longer than one that does not. 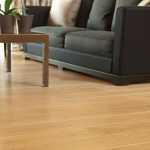 Nylon materials are highly resistant to damage and stains, making them great for pets and kids. They’re affordable too! A dense carpet is always the better option for durability and longevity. They are far easier to keep clean and are especially hard wearing. Obviously, you will want something to match the colour scheme of your room, but darker colours and patterns tend to mask pet hair or any stains a lot better than lighter colours. Think carefully about the high and low traffic areas in your home. If sticking to a budget is a concern, we’d recommend going for a higher quality, and therefore more expensive, carpet in the high traffic areas e.g. living rooms and hallways, and a less expensive carpet in the bedroom, as these rooms will receive less foot traffic. To help your carpet stand a chance of maintaining its beautifully clean and pristine appearance, it’s worth giving your pet a good scrub every once in a while! If you don’t have the time to bathe your pet entirely, then you should at least make sure you wipe their paws clean after every walk, so they don’t tread mud and water back into your home, and deep into your carpet. Finally, the obvious but all important; vacuum cleaning! 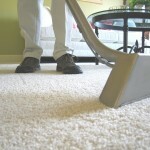 As well as cleaning your pets, you should be cleaning your carpets on a regular basis. Ideally, every day but if this is a struggle for you, then at least twice a week. This way you can keep on top of the pet hair (you might not always see it, but trust us, it’s there!) and help your carpet last you longer. For more information and help with choosing a carpet that is right for you, please feel free to contact the friendly team at Brent Carpets. We serve throughout Central London and the surrounding London areas, providing reliable and high quality carpets for domestic and commercial use. In the meantime, feel free to browse the other pages of our website to learn more about our excellent services.